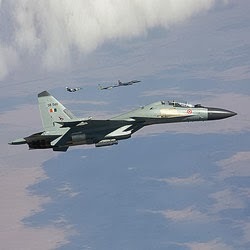 The Indian Air Force’s backlog of orders for Russia’s Su-30MKI fighters, makes up 272. The fighters are assembled by India’s Hindustan Aeronautics Limited (HAL) that has received a license from Russia’s Sukhoi aircraft maker. The Indian Air Force is expected to get its first squadron of Tejas in 2015 and the second one - in 2017. The project to build India’s Tejas fighters began in 1983. The plane made its maiden flight in January 2011.